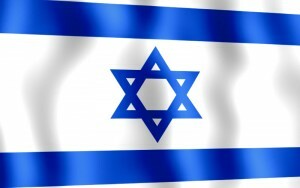 As the Syrian Civil War rages, Israel has conducted a number of sporadic strikes inside the war-torn country. These strikes are to enforce Israel’s so-called “red line” in Syria, which includes transfers of sophisticated weapon systems to Hezbollah in Lebanon and threats along its border. April 27, 2017 – Damascus International Airport: Five pre-dawn strikes hit a reported ammunition depot near the International Airport. The blasts resulted in a fire that suggest they struck explosives or fuel. No casualties were reported. April 21, 2017 – Khan Arnabeh: Two Israeli missiles strike a Syrian Army position near the border in response to mortars falling within the Israeli-side of the Golan. Local sources claim that the target was a weapons warehouse controlled by the Syrian National Defense Forces. At least three deaths and two wounded are reported. March 20, 2017 – Syria-Lebanon Border: A Hezbollah weapons convoy and several military facilities, including Syrian air defense sites, are struck in the Qalamoun mountains near the Lebanese border. No casualties were reported. March 19, 2017 – Khan Arnabeh: An Israeli drone reportedly targets a car carrying Yasser Hussein al-Sayyed, the commander of the Syrian Air Defense Force Golan regiment. Al-Sayyed and his driver are reportedly killed, suggesting the strike was a retaliation for the S-200 missile fired towards Israel on March 17. March 17, 2017 – Palmyra: Several targets near the ancient city of Palmyra are reportedly struck in potentially the deepest Israeli incursion into Syria since the strikes began. It is believed that a weapons convoy destined for Hezbollah was struck near the T4 air base, suggesting Iran may be utilizing the base to airlift equipment into Syria. The Syrian regime to the attack by firing at least two S-200 surface-to-air missiles at the Israeli aircraft, however reports suggest the fighters had already returned to Israeli airspace by the time of their launch. The trajectory of the S-200 missiles resulted in Israel using its Arrow 2 ballistic missile defense system to intercept the Syrian missiles, fearing their risk to civilians in Israel. February 22, 2017 – Quteifa: Warehouses belonging to the Syrian Army’s 3rd Division in the Damascus countryside are targeted with as many as six strikes. A simultaneous strike is reported in the Qalamoun mountains, resulting in a number of Syrian military and allied militia deaths. February 9, 2017 – Baath City: A Syrian Army operations center near the Golan border is struck. No casualties were reported. January 13, 2017 – Mezzeh Air Base: Eight blasts at the Mezzeh Air Base, reportedly striking ammunition warehouses. No casualties were reported. December 7, 2016 – Mezzeh Air Base: The Mezzeh Air Base, home to the Syrian air force intelligence service, was targeted with reports suggesting either a weapon depot and/or the runway was struck. No casualties were reported. December 6, 2016 – Zabadani: Three Hezbollah checkpoints (al-Sindian, al-Saroukhiya, and Ain al-Ramlah) were struck, killing and wounding “a number” of Hezbollah members. July 6, 2016 – Baath City: Pro-regime sources say an Israeli helicopter fired two missiles at an unfinished building, leading to its collapse. Opposition sources say the building was actually the Syrian Arab Army’s Security Zone, which serves as the rallying point for Assad’s forces and loyalist militias in Quneitra. No casualties are reported. June 5, 2016 – Shinshar: Warehouses used to store ammunition and munitions that are believed to have been controlled by Hezbollah are struck in a “heavy strike.” No casualties are reported. May 16, 2016 – Damascus International Airport: Mustafa Badreddine, Hezbollah’s senior military commander & chief of intelligence is killed by a potential Israeli strike near the airport. Hezbollah claims Badreddine was killed by rebel artillery fire, though monitors doubt this. Sources report two Iranian paramilitary commanders may have also been killed, and others were wounded. May 10, 2016 – Anjar: A six-vehicle weapons convoy traveling from Qalamoun mountains into Lebanon was struck. The convoy is believed to have been transporting radar and anti-aircraft systems for Hezbollah. February 17, 2016 – Jabal Al-Manea: Three missiles struck a Syrian Army munitions warehouse located near the road to Deraa. It’s unclear whether the weapons targeted were meant for Hezbollah. No casualties are reported. February 8, 2016 – 155th Brigade Missile Base: Israeli jets are believed to have struck Scud missile warehouses on the outskirts of Damascus — likely the 155th Brigade missile base. No casualties are reported. December 19, 2015 – Jarmana: An apartment building housing mid-level Hezbollah operative Samir Quntar, who also reportedly served as a commander in the Popular Resistance Committees, is struck. Nine others are killed, including Farhan Al-Shaalan (commander of the Syrian Resistance to Liberate the Golan) and Taysir Al-Na’su. December 4, 2015 – Al-Qutayfah: Hezbollah and Syrian Army positions, including a truck carrying a Scud missile at the 155th Brigade Base is targeted. No casualties are reported. November 29, 2015 – Ra’s Al-Ayn, Assal Al-Ward, and Al-Jibba: Hezbollah positions, observation points, and Kornet missile warehouses are targeted. An unknown number of Hezbollah fighters and Syrian soldiers were killed. November 26, 2015 – Fleita: Three strikes on Hezbollah positions on hillside forcing a withdraw to Fleita. No casualties are reported. November 24, 2015 – Qara, Ras Al-Ma’arah, and Fleita: Unspecified Hezbollah and Syrian regime positions were targeted. As many as eight Hezbollah fighters and five Syrian soldiers were killed, dozens wounded. November 11, 2015 – Outskirts of Damascus International Airport: Hezbollah facility believed to be host offices and warehouses is targeted. No casualties are reported. October 31, 2015 – Qalamoun Mountains: Two strikes on Hezbollah and Syrian army targets, including a weapons convoy destined for Hezbollah. No casualties are reported. October 30, 2015 – Al-Qutayfah: Warehouses holding Scud missiles belonging to the 155th Brigade that were believed destined for Hezbollah is targeted. No casualties are reported. October 30, 2015 – Ina’ash: A military installation believed to host Hezbollah is targeted. No casualties were reported. August 20/21, 2015 – Al-Kawm: The Syrian Army’s 90th Brigade’s base is struck. Five soldiers or paramilitary fighters loyal to Assad as well as two others are killed. Israel claims four Palestinian members of Islamic Jihad were killed. Islamic Jihad denies it lost any members. August 20/21, 2015 – Khan Al-Sheikh: The Syrian Army’s 68th Brigade base is struck but the intended target is unknown. Five soldiers or paramilitary fighters loyal to Assad as well as two others are killed. July 29, 2015 – Hader: A four-wheeled drive vehicle containing two Hezbollah members and three Syrians is targeted. April 27, 2015 – Majdal Shams: Four Syrians attempting to plant IEDs by border fence are killed. April 27, 2015 – 155th Brigade Missile Base: A missile base belonging to the 155th Brigade, which was believed to be transferring Scud missiles to Hezbollah is targeted. Israel denied conducting the strike. An unknown number of unidentified dead and wound are reported. April 25, 2015 – Qalamoun Mountains: An artillery and missile installation which contained mid-ranged missiles belonging to the Syrian Army’s 155th and 65th Brigades is believed to have been targeted. No casualties are reported. January 28, 2015 – Golan Heights: Syrian military outposts are targeted in response to rocket fire landing in the Israeli-controlled areas of the Golan Heights. No casualties are reported. January 24/25, 2015 – Latakia: Sophisticated missile equipment, including Russian-made SA-3 (S-125 Pechora-2M) surface-to-air missiles believed destined for Hezbollah were targeted. No casualties are reported. January 18, 2015 – Mazraat Amal: A convoy carrying senior Hezbollah members and an IRGC general who were planning a cross-border attack on Israel is struck. Seven individuals were identified as being killed: “Jawad” Jihad Mughniyeh, field commander “Abu Issa” Mohammad Issa, “Sayyed Abbas” Abbas Ibrahim Hijazi, “Kazem” Mohammad Ali Hassan Abu Al Hassan, “Daniel” Ghazi Ali Dawi, “Ihab” Ali Hassan Ibrahim, and IRGC Brigadier General Momammad Ali Allahdadi. 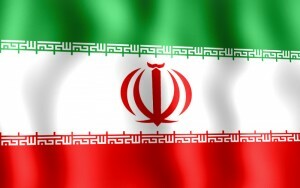 Some sources claimed six unidentified Iranians were also killed. December 7, 2014 – Damascus International Airport: A military facility connected to the airport which serves as a depot for newly-arrived weapons is struck. Three Hezbollah members are believed killed. December 7, 2014 – Al-Dimas: Weapons depots and hangars in and around a small airfield are targeted. Unclear if weapons belong to Syrian government or Hezbollah. Three Hezbollah members are believed killed. July 15, 2014 – Baath City: Three strikes in the Quneitra area hit a Syrian military base beloning to the 90th Brigade and several other army posts. Between four and 12 people are killed. June 22/23, 2014 – Quneitra: Nine Syrian military positions, including the headquarters of the 90th Brigade, two tanks, and an artillery position, are targeted in response to an attack killing Israeli-Arab child. Ten Syrian soldiers are believed killed. March 19, 2014 – Nouriyeh: A Syrian Army headquarters, artillery batteries, and a training camp are targeted in response to a roadside bomb attack on IDF vehicle. 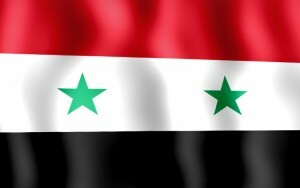 Syrian Army claims one soldier was killed, seven wounded. February 25, 2014 – Yabroud, Zabadani, and Qalamoun: A Hezbollah artillery position was targeted. Five members of Hezbollah, including group commander Abu Jamil Younes are believed killed. February 24, 2014 – Nabi Sheet: A suspected Hezbollah “missile base” or weapons convoy carrying unspecified missiles across the border is targeted. 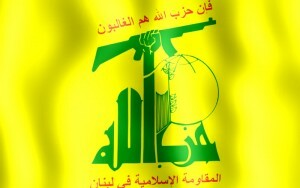 Several Hezbollah fighters are killed. October 31/November 1, 2013 – Jableh: Sophisticated missile equipment, including Russian-made SA-3 (S-125 Pechora-2M) surface-to-air missiles believed destined for Hezbollah were targeted. No casualties are reported. October 30, 2013 – Ain Shikak: A strategic missile battery housing unspecified long-range Russian-made missiles or a shipment of SA-8 (9K33 Osa) surface-to-air missile systems destined for Hezbollah is believed to have been targeted. No casualties are reported. July 5, 2013 – Latakia Port: A warehouse containing 50 Russian-made P-800 Yakhont anti-ship missiles is targeted fearing the missiles could be transferred to Hezbollah. Several Syrian troops are killed and wounded. May 5, 2013 – Al-Hamah: The 104th and 105th Brigades of the Syrian Republican Guard as well as an ammunition warehouse belonging to the 14th Special Forces Division are targeted. Several dead and injured are reported. May 5, 2013 – Mt. Qasioun: Syrian Republican Guard artillery emplacements are struck. Several dead and injured are reported. May 5, 2013 – Al-Dimas, Qadsiya, Al-Saboura, and Jamraya: SA-17 (Buk-M2E) medium-range surface-to-air missile system or unspecified surface-to-surface missiles are believed to be targeted en route to Hezbollah. Several dead and injured. May 2/3, 2013 – Damascus International Airport: A warehouse containing Iranian-made Fateh-110 and Scud D surface-to-surface missiles destined for Hezbollah is believed to have been targeted. No casualties are reported. January 30, 2013 – Jamraya: A convoy carrying arms to Hezbollah, to include a SA-17 (Buk-M2E) medium-range surface-to-air missile battery is believed to have been targeted. Senior IRGC commander Hussam Hush Nawis (aka Hassan Shateri) is killed in the strike.